Noah brought together communities from across the country to compose music that celebrates the vibrancy of life within congregations. 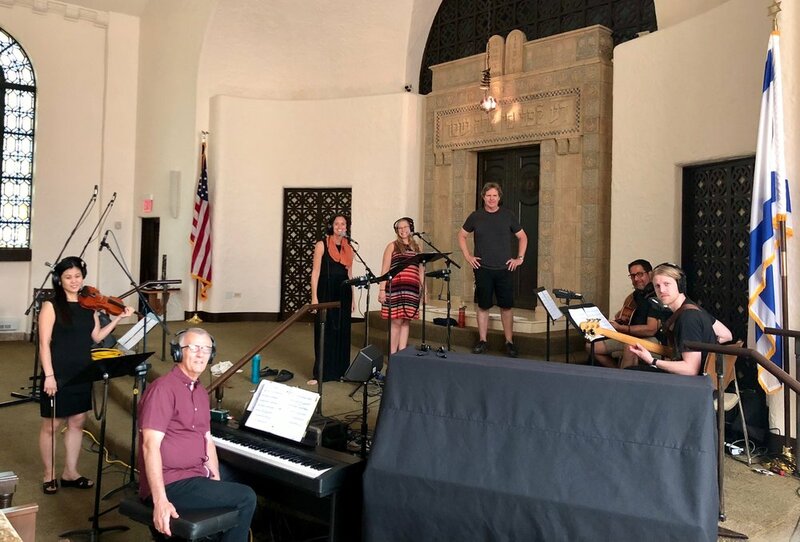 He collaborated with clergy teams and lay-leaders, fellow musicians and songwriters, community choirs, poets, recording engineers, producers and many more to bring this project to life. The Chai Project creates an archive of ‘the sound of 2018.’ We’ll be able to look back and hear what our communities sounded like, what we were singing about, what values we shared and what sounds we gravitated towards in the year 2018. Each song was written in partnership with the community leaders to ensure that the texts, music and messages truly represented their values and intentionality. As a collective whole, they communicate the love and hope poured into every moment of the progressive Jewish communal experience in 2018. I partnered with Cantor Rollin Simmons and the clergy team at Congregation Emanu El to combine the prophetic words from Micah 6:8 “Ki im asot mishpat, v’ahavat chesed, v’hatzne’ah lechet im Elohecha” to “Do Justice, love mercy and walk humbly” with the familiar words of welcome from the book of Psalms “Hinei ma tov uma naim shevet achim gam yachad” to remember how good it is to do this sacred work together in community. 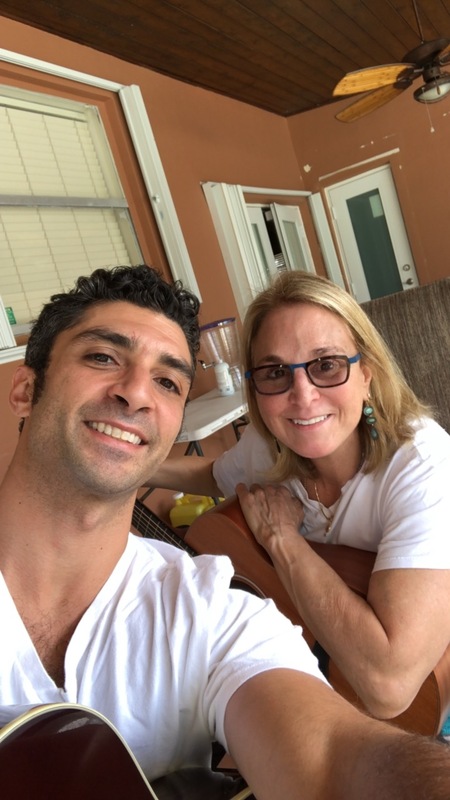 I partnered with Cantor Jennifer Frost and her team at BJBE in Deerfield, to lift up the poetry of her Rabbi Karyn Kedar who reminds us “to live, to really live!” We combined Karyn’s poetry with the text from Deuteronomy that reminds us “Uvacharta bachayim l’ma’an tichyei” that a life connected to Torah gives us choice and making that choice is choosing to really live! When the Israelites were instructed to build the Tabernacle in the desert, God reminds them that everyone brings their own unique gifts to create sacred spaces. Nadav Libam, it’s the gifts of the heart that speak the loudest and last the longest. It was a gift to work with the Cantorial team at Central Synagogue in New York City for this piece. In the book of Exodus we learn of the construction of the moving Tabernacle and that God’s presence was intended to dwell among the people. This text reminds us that we God’s presence dwells among us at all times, wherever and whenever we chose to awaken to it. Beth Emet Free Synagogue has made it their mission to become a ‘sanctuary’ community, one that is welcoming to all and a place where all can come in and feel that the shechina truly dwells within their walls. This community was seeking a ‘theme song,’ a piece of music that represented their values of pursuing peace and justice as their namesake suggests. We took the line from Torah that says ‘oheiv shalom v’rodeph shalom’ that we should not only be lovers of peace but pursuers of it! ‘Romemu,’ we seek to rise higher and higher in our spiritual pursuits. This piece does just that musically, rising higher and higher allowing us all to lift up our chins and keep marching forward. Temple Beth-El will use this piece to lift their Torah Services up and also to galvanize their congregation urging its members to rise up and stand for the things they value most. Noah partnered with Cantor Josh Breitzer and the clergy team at Congregation Beth Elohim for this piece. It combines the text from the torah portion of “Breishit” that says “Lo tov heyot haAdam levado” that it is not good for humans to be alone in the world and the text from the talmud that states “Kol Yisrael areivim zeh bazeh” that all Jewish souls are connected and responsible for one another. In the Torah portion of Vayeira, Abraham and Sarah gives us the first example of audacious hospitality where they welcome and feed three complete strangers into their tent. 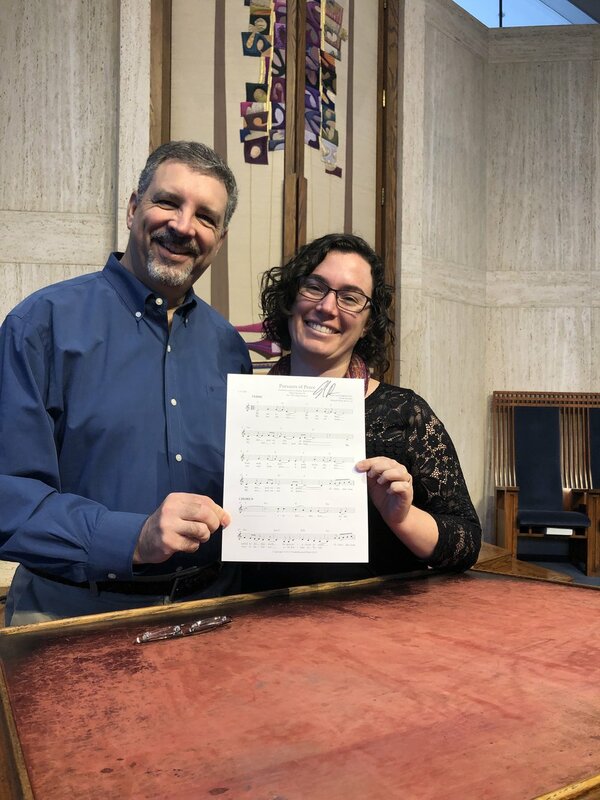 I partnered with Cantor Faryn Rudnick and her former clergy team at Temple Beth-El to craft a piece around the value of welcoming the stranger. We used the text from Isaiah 56 “Ki veiti beit tefilah yikarei l’chol ha’amim” to remind us that our congregations can be a house of prayer for all people. What a blessing it was to work with the team at WRT on this piece about blessings. In the Torah portion, Toldot, Isaac gives his final blessing. What does it mean to bless someone? The Torah takes these blessings very seriously. The priestly blessing is the oldest blessing in Jewish tradition and it’s words ask for the light of goodness to guard us, shine upon us and to grant us a life of peace. This setting of the Y’varechecha blessing emphasizes the last phrase, v’yasem l’cha shalom, the blessing of peace. In the Torah portion Vayetze, Jacob wakes up from a dream and names the place of his divine encounter a Beit Elohim, a house of God. This is the source text for synagogues named Temple Beth El, or Beth Elohim and all the more appropriate that Temple Beth Elohim of Wellesley, MA chose this setting as theme song of sorts for their piece. 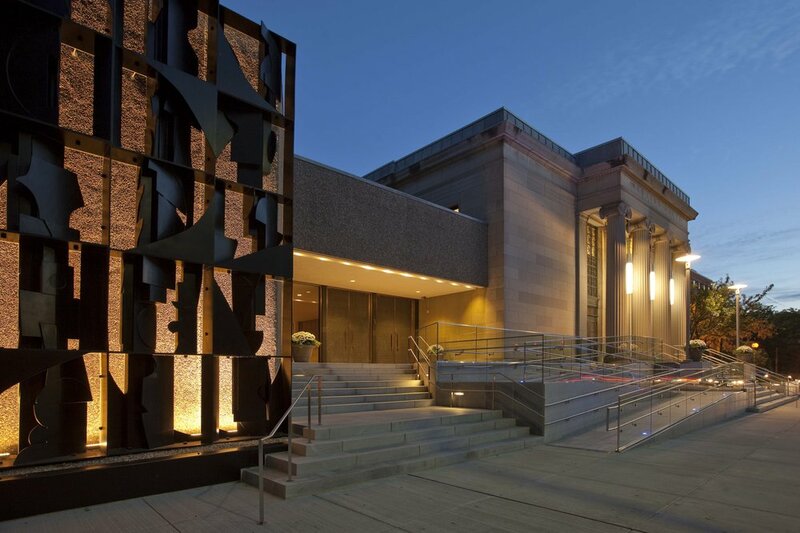 This piece was written in collaboration with Cantor Roy Einhorn and the team at Temple Israel in Boston. We based the melody and themes off of my melody “Am I Awake” and crafted a suite of one continuous flow of music linking the liturgy from the Barechu through the Shema. The pieces take elements from the Hebrew and English translations of each prayer which helps show the thematic connections in the liturgy. This piece combines the traditional Torah Service liturgy with the English text from Mishkan T’filah which says “It’s teaching is love and justice, goodness and hope. Freedom is its gift to all who treasure it.” The two melodies can be sung independently or in two parts simultaneously and is a lot of fun to sing during Hakafa! I had the honor of co-writing this piece with renowned composer and Cantor, Rachelle Nelson. Together we crafted a piece of music for the Gomel Blessing, a blessing for those who survived a traumatic episode. The blessing repeats the phrase ‘kol tov’ suggesting that even though we’ve gone through hardship, that somehow, this pain can be our teacher and be turned into the good. This piece was written to celebrate the opening of a new center for learning at Park Avenue Synagogue. The line is taken from the morning liturgy thanking God for giving us Torah, and discernment and wisdom. This text is a celebration of learning and the continuous pursuit of knowledge in order to better oneself and expand our understanding of the world around us.